When faced with a wet day outside and playing pitches closed, these are great indoor drills with players learning new skills and having some fun. As Ben explains, faced with a wet day outside and playing pitches closed, these are great indoor drills with players learning new skills and having some fun. Enjoy! Muy bueno. Se lograria mejor comprension si es traducido o subtitulado al español. per favore i sottotitoli in inglese o spagnolo. io sono italiano e Not understend English. Tank YOU! Ha good stuff! I call this the “chicken wing pass.” Very effective in a 2 v 2 situation when the ball carrier bangs out the fend with the non-carrying arm. 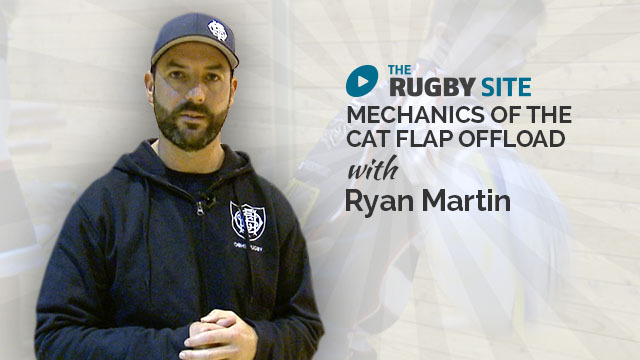 Great simple video breaking down how to teach the offload to kids???? Brilliant stuff! No more abandoned midweek sessions due to waterlogged pitches! :-) Really innovative ideas to work on tackle detail. Really great for youth players to build knowledge and confidence while being safe in best practise for tackling and dissolving doubt pre tackle and bad habits. Muy tips para mejorar la tecnica del tackle . 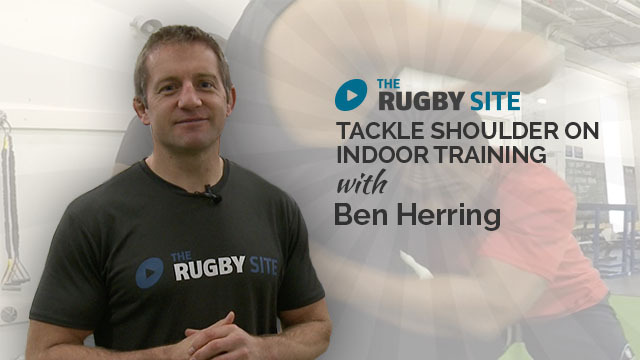 Great for younger players who often keep their head too far away from the tackled player. It is safer and a better, tighter tackle when they use their head and neck. It helps keeps the head on the correct side as well. Our league cousins call it shoulder stick. Pulling back with the arms/shoulders and pushing forward with the legs sticks the tacklers shoulder to the opponent.